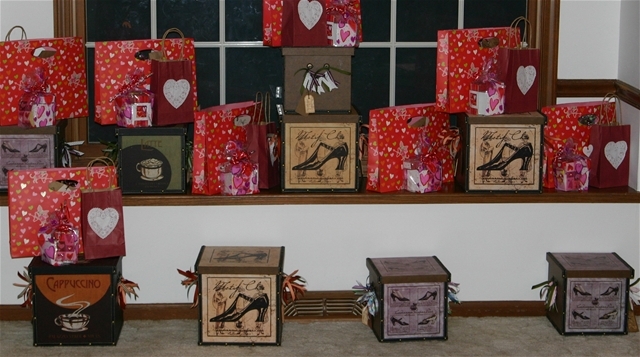 Christmas and Valentines could be celebrated together? Well for a bunch of girlfriends that's just what we did. Every year we get together at Christmas and do a Treasured Friends girlfriend Christmas exchange. It was because of Brenda's store Treasured Friends that we all met. One year we decided to move it to January so we could enjoy the time together instead of rushing with all the other holiday plans. It has become our tradition and something to look forward to in January. 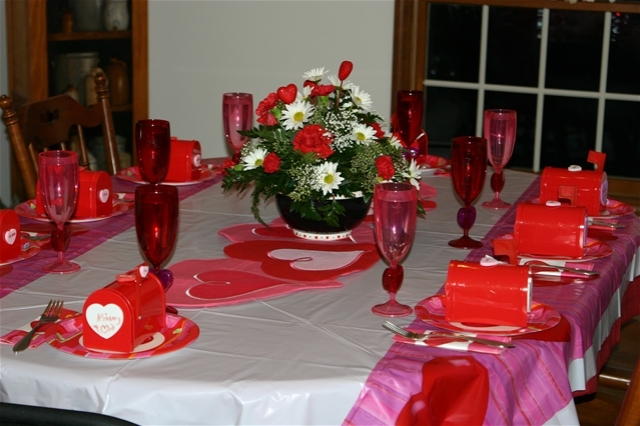 Then every year in February Kim does a girlfriend Valentine party. Since Brenda was coming in from Michigan we decided to combine them both to one party. 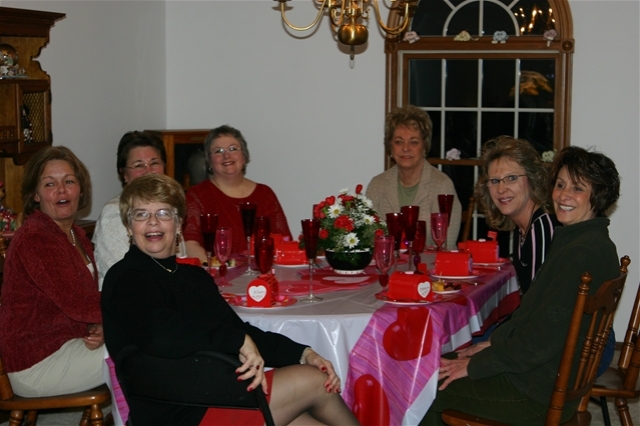 Thank goodness for girlfriends - What a fun night we all had!